Heritage View is located along Dover Rise which is minutes away from the Dover MRT station and popular expatriate's hangout, Holland Village. This condominium is easily accessible by the Ayer Rajah Expressway (AYE) which is 8 minutes drive away from the Central Business District (CBD) of Singapore. It is also located just next to Dover Parkview condo. Academic institutions in the immediate vicinity include Anglo Chinese Junior College, Fairfield Methodist Primary/Secondary Schools, Anglo Chinese School, Raffles Junior College and the National University of Singapore amongst others. The Buona Vista MRT Station is within 10 minutes walk away while Holland Village is less than 5 minutes drive away. Direct buses 200 and 95 are available along North Buona Vista Road if you are working or studying in National University of Singapore (NUS). This condominium is very popular with INSEAD students or lecturers because of the close proximity to the INSEAD campus - around 8 minutes walk away. Expatriates working in the Biopolis would prefer to stay in this condo because of the close walking distance to work. There are in total 3 towers and 3 large swimming pools – the main pool, children pool and lap pool. All of the apartments have tinted full height windows and excellent finishing which makes it very appealing and luxurious looking. Expats can also enjoy the amenities at surrounding HDB estate of Clementi, Ghim Moh or Holland Village. 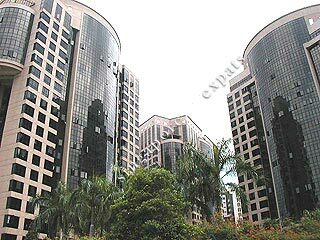 Beautiful condominium living with well maintained wide array of facilities. Great open space with enough areas for everyone to rest and relax every day. Great for Family. Ample open space, several playgrounds, play pool, swimming pool, feature pool, basketball court, tennis court and more. Awful staff and security, run down units and overprice rents. Owners take advantage of expat population around. Full facilities condominium with several swimming pools catering to toddlers to adults. Tennis courts, basketball courts, gym, function rooms, several playgrounds and well kept greenery open space. Excellent location, accessible to MRT, shopping mall and good schools, ideal for those working in one-north or science park area. Good for family with good schools nearby.